Looking for a New or Used Audi in San Jose? You've come to the right dealership! At Audi Stevens Creek we provide everything automotive, with great prices and customer service. With a new or used Audi from San Jose's Audi Stevens Creek you'll get a reliable and stylish new car at a price you can afford. Call us or make the drive from Mountain View CA, Sunnyvale CA & Los Gatos, CA and see us in person. 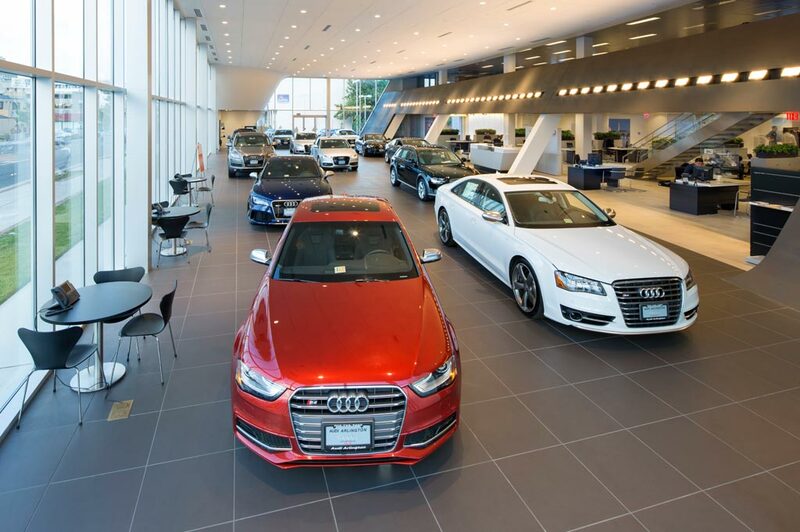 Besides being a premier new Audi dealership, Audi Stevens Creek also carries a full selection of used cars in San Jose, CA at our 3350 Stevens Creek Boulevard location. We believe that while a car may be used, it should run and feel like new. If a vehicle doesn't and/or can't maintain that high level of performance our San Jose CA, Mountain View CA, Sunnyvale CA & Los Gatos CA, drivers expect for years to come, you won't find it on our lot being sold. Visit Audi Stevens Creek today and experience our high-standard, pressure-free approach for yourself. As hundreds of drivers in greater San Jose, CA, area already have, you're certain to see the difference immediately. At Audi Stevens Creek we see all sorts of loan and credit situations. Most new and used-car buyers require financing to purchase a vehicle but need help understanding the process and their current situation. Audi Financial Services is the one place for all things Audi financing and can help folks get started on the financing process. You'll find leasing vs. financing information, see if you qualify for any special purchasing programs, a utility to estimate monthly payments and understand the various payment option plans. And, unlike most Audi and used car dealerships, Audi Stevens Creek, fights hard to get each and every one of our California customers the rates they need to transform their new or used car dream into a reality. And, while they're busy crunching numbers and negotiating with banks, the Audi Stevens Creek Finance team in San Jose, California still takes the time to deliver paramount service. They may be a team of numbers people, but each of them is a people person too. Get the repair and parts your Audi needs from the industry experts at Audi Stevens Creek. Our mechanics will make sure your car is fixed right the first time, and our professional parts department has a large inventory of auto parts to fill orders quickly. For car repairs in San Jose and original Audi car parts, visit Audi Stevens Creek located at 3350 Stevens Creek Boulevard San Jose, CA 95117. Follow our Dealership Directions and give us a call at (888) 439-6179 if you have any questions. Thank you for visiting our website, and we hope to see you soon at our dealership. You can learn more about Audi Stevens Creek on our About Us page, but there's no better way to get to know us than to come visit us in person. We're happy to help you in any way we can. Audi Stevens Creek, proudly providing quality Audi vehicles to San Jose, California.